Keep one step ahead of life's little curveballs. Incoming! is an app for webOS which aspires to be a drop in for Any.DO on Android. "brother's birthday on 12 feb"
"avengers on friday at 8pm"
Type in what you need to remember. 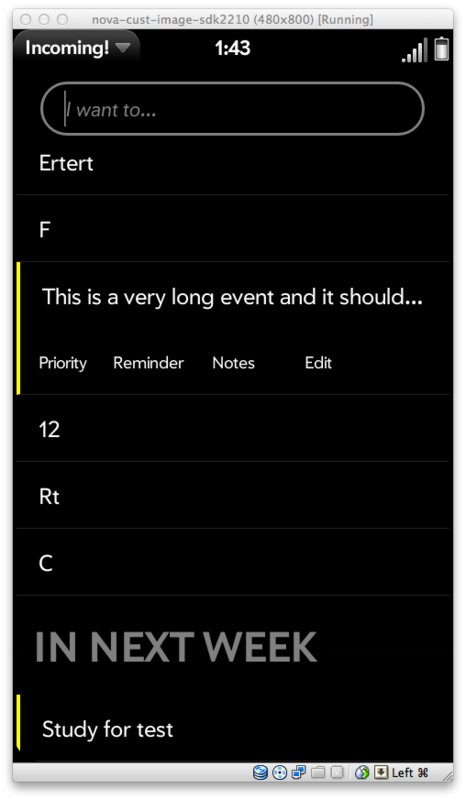 Add notes to events. Swipe right to cross off items. Swipe left to uncross. Shake to clear out crossed off items.